Home News International Was Putin’s invocation of ‘Jew’ lost in translation? Was Putin’s invocation of ‘Jew’ lost in translation? 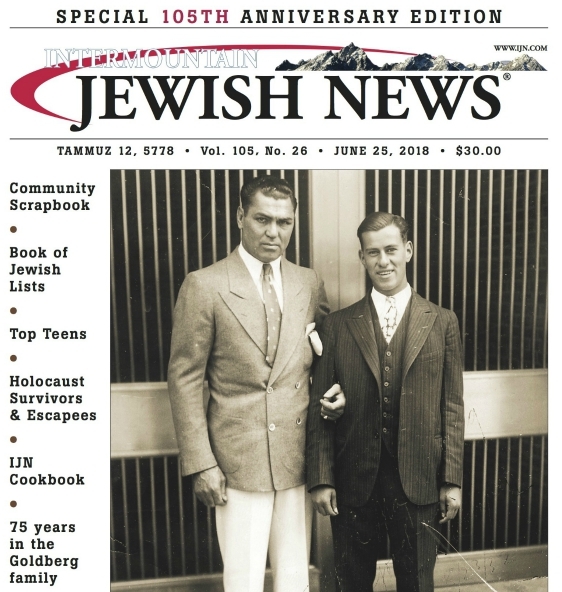 MOSCOW — When Boruch Gorin, a rabbi in Moscow, traveled for the first time from Russia to the US, a US Customs officer asked him whether he was Russian. “I said, ‘No, I’m not Russian — I’m Jewish,’” Gorin recalled Monday, March 12, 27 years after the exchange at John F. Kennedy International Airport in New York. With his words, Putin is “giving new life to classic anti-Semitic stereotypes,” said Greenblatt, who also referenced the Protocols — the anti-Semitic forgery that was created in Russia in 1903. The Russian Jewish Congress and the Euro-Asian Jewish Congress did not immediately reply to JTA’s request for comment on Putin’s remark. Neither group has criticized the Russian leader for what he said. That’s significant because in Russian, Russki does not mean a citizen of Russia (the word for that is “Rossianin”) but a person of Russian ethnicity. Since Jewishness is widely recognized in Russia as an ethnicity as opposed to just a religion, Russian Jews are not really considered ethnic Russians, though they are accepted as Russian citizens. But the adjective “Russian” in English does not have this distinction — that’s why Gorin had to be asked three or four times about his connection to Russia before he understood the subject was not about his ethnicity (a perfectly common and politically correct question in Russia) but his citizenship. Ultimately, Putin was trying to distance Russia from the intervention in US elections — not blame Jews for it, Gorin suggested. That seemed to be in reference to the three million non-Jewish Poles killed during WW II, suggesting he didn’t consider the three million Polish Jews who were exterminated as Poles. But in reality, the word “Jews” in Polish is used to reference primarily ethnicity, not nationality. Gorin recently called the ousting of a Chabad rabbi from Russia on vague security-related allegations a “dark day in the history of the Jews in Russia.” He likened a Russian court’s blacklisting of a rabbi’s book to Holocaust distortion in Lithuania. Gorin also criticized as “patently false” Putin’s assertion that Jews dominated the first communist government — a statement with serious consequences in a country with bitter memories of Soviet oppression. Gorin’s benign view of Putin’s remark is shared by the chief rabbi of Moscow, Pinchas Goldschmidt. He does not belong to Chabad and in the past has clashed with representatives of the chasidic group in Russia. Goldschmidt, too, said the outcry abroad over Putin’s remark came down to linguistics. “The question posed to Putin was most probably whether Russians [meaning Russian nationals] meddled in the elections and it was translated as ‘Russkis’ [ethnic Russians] meddled in the elections,” Goldschmidt said. The Russian judiciary cracked down on anti-Semitic intimidation that had gone unchallenged under his predecessors. Local authorities have given back dozens of synagogues and buildings that have been confiscated from Jewish communities. Putin himself urged support for Moscow’s $50 million Jewish Museum and Tolerance Center, which opened in 2012. Next month, Chabad will open Russia’s first Jewish university in Moscow. Many observers have linked Putin’s favorable policy to the deep impact that Jews have had on Putin from his early childhood in St. Petersburg. In the building where he grew up, he was cared for as a boy by an elderly Jewish couple who lived next door from the future KGB agent and Russian president’s hard-working parents. After his mentor and judo coach, Anatoly Rakhlin, died in 2013, a visibly grief-stricken Putin attended the funeral and ditched his security detail to pensively walk a lonely mile around the corner. Putin even bought his late German teacher, Mina Yuditskaya, an apartment in Tel Aviv. “Russia’s history of anti-Semitism goes back centuries,” the Washington, DC-based National Coalition Supporting Eurasian Jewry said in its measured statement about Putin’s words.